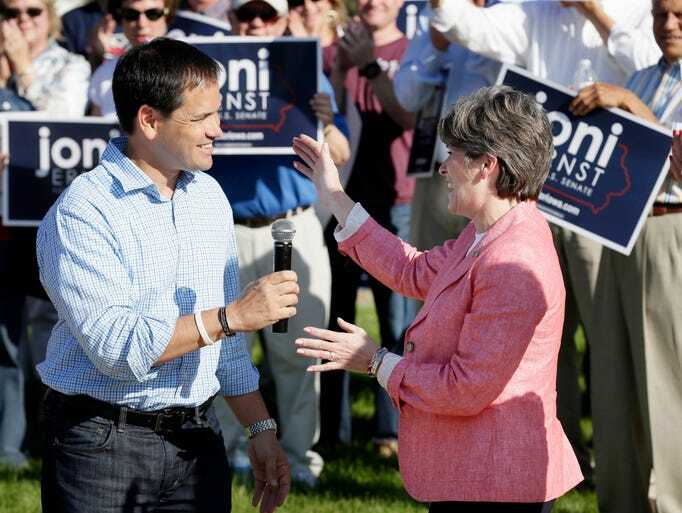 If Joni Ernst wins the GOP U.S. Senate race tomorrow, Marco Rubio will be the only one from a long list of potential 2016'ers who endorsed her – a big move for Rubio, who typically doesn't weigh in on primaries, but one that could possibly pay some dividends for him later, Iowa politics watchers say. 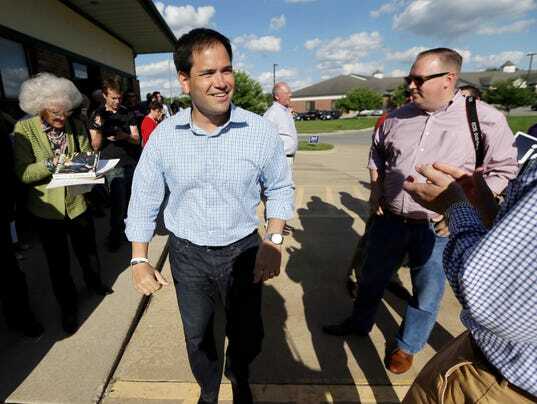 After shying away from the 2016 spotlight for the last year, Rubio has signaled a renewed interest in the White House – the Florida U.S. senator was in the presidential testing grounds of New Hampshire in May, then dropped in for a quick Iowa visit this evening to stump for Ernst on the eve of the primary vote. "It think it's fair to say that I'm contemplating my political future in 2016," Rubio told The Des Moines Register in an interview, "because my term expires in 2016 and as part of that decision-making process, I'll have to consider the opportunity that I may or may not have to run for the highest office in the land." 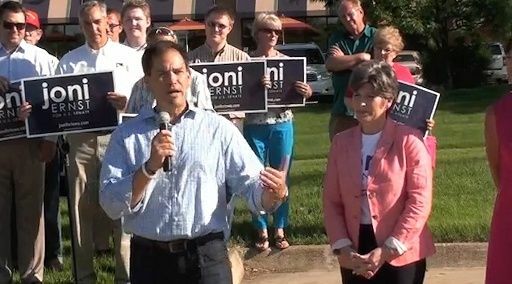 But for the next two years, he's focused on work in what's "hopefully" a GOP-controlled U.S. Senate – and that means helping elect Ernst, he said. Although endorsements are rare, Rubio said, "I just really felt like we would make an exception in this case because there's such an exceptional candidate running here. This is not just having an Republican nominee, it's the hope of electing someone to the U.S. Senate who isn't just going to be someone that votes the right way but is someone who's actually going to make a difference."